Fast on the heels of debatably mourning magpies, I offer you the somewhat more definitive (pics and it happened!) 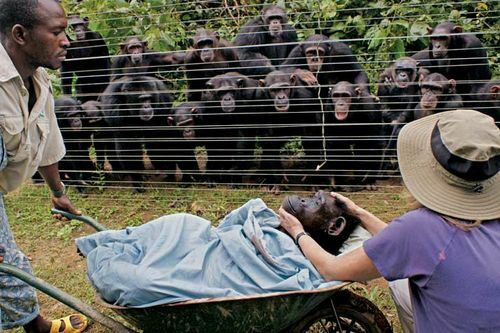 chimpanzee funeral, where huddled, sad chimps appear to pay their last respects to their dead companion Dorothy. Posted by Meg Holle in Death + Biology, Grief + Mourning and tagged animals, funerals. Bookmark the permalink.